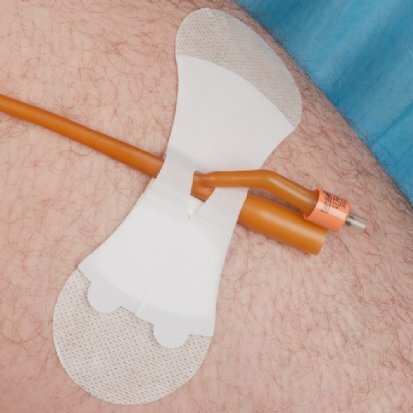 Grip-Lok Stabilization and securement devices are strong enough to lock catheters, tubes and lines securely in place, yet versatile enough for almost any securement situation. 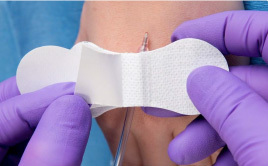 SAFE: Grip-Lok does not contain rubber latex and is packaged in individual sterile units, allowing you to use it close to the wound site or right in the sterile field. The breathable medical grade hypoallergenic tape allows the patient's skin to breathe, thus reducing the risk of rashes and other skin irritations. SIMPLE: Grip-Lok is applied in the same manner as a bandage and can be easily placed and adjusted by gloved hands. SECURE: Grip-Lok employs specialized adhesives and a self-gripping fastener to keep lines, tubes, and catheters locked securely in place. Once secured, Grip-Lok helps prevent dislodgement and/or migration, thus reducing the risk of lost lines, duplication of work, and patient discomfort or distress. 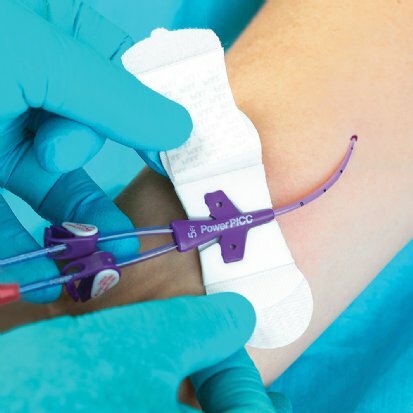 STANDARDIZED: Grip-Lok conforms to the new Infusion Nursing Standards of Practice and can eliminate the need for sutures and unscheduled catheter restarts, thus directly reducing needlestick injuries. 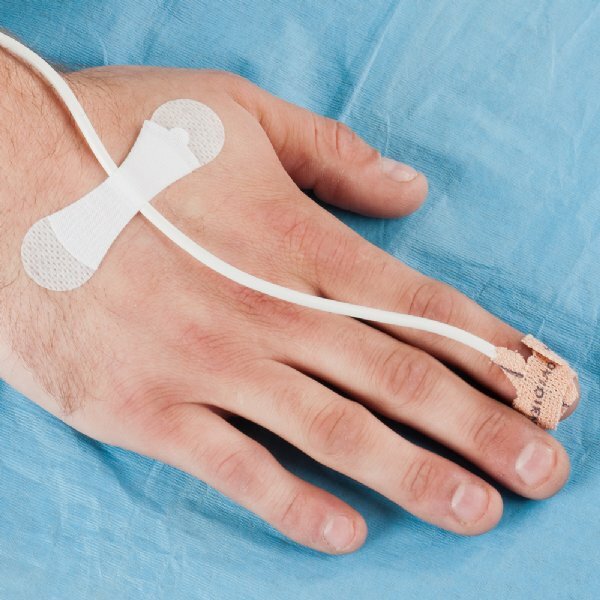 Manufactured catheter securement and stabilization devices are now listed as "preferred" in the new Infusion Nursing Standards of Practice. Soft and flexible fabric design improves patient comfort. Hypoallergenic, breathable and latex-free to reduce risk of allergic reactions and skin irritations. Simple to apply, inspect and adjust. Provides superior securement for both horizontal and vertical lifting accidental pulls. 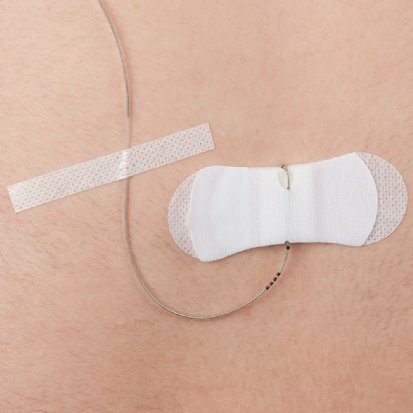 Any Tube, Line or Catheter sized between 1.5mm and 4.5mm in diameter that needs to be secured. Tubing Size Range: 1/16" - 3/16"
Any Tube, Line or Catheter sized between 3mm and 8mm in diameter that needs to be secured. Tubing Size Range: 1/8" - 5/16"
Adheres and secures catheters made from silicone, PVC, and other plastic compounds. The versatility of this securement will secure larger tubes in addition to a wide variety of hub sizes and shapes. 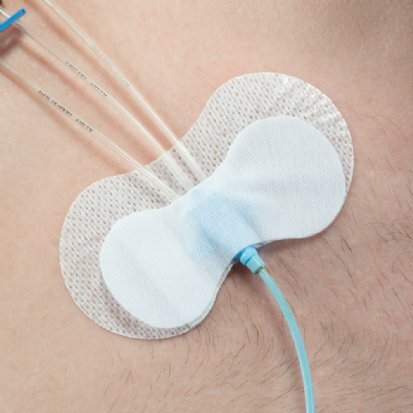 Any Tube, Line or Catheter sized between 6mm and 13mm in diameter that needs to be secured. 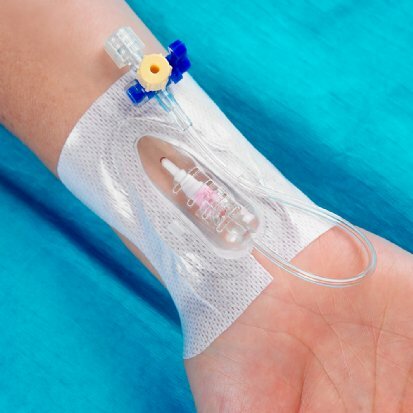 Tubing Size Range: 1/4" - 1/2"
Designed to hold the catheter in a channel created by a foam insert and a fabric loop over-strap. This securement device does not utilize adhesive to secure the catheter in place allowing for freedom of movement and patient comfort. The degree of rotational and horizontal movement can be adjusted using the top fabric overstraps. Tubing Size Range: 12 - 30 French in diameter. 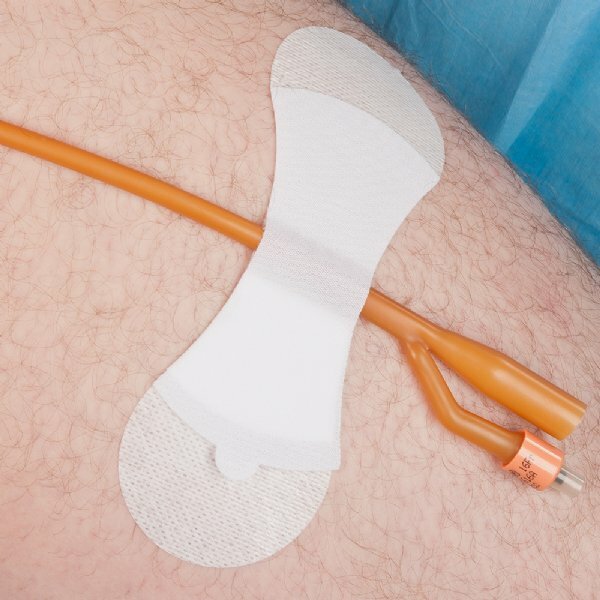 Large CVC securement provides a large adhesive area that will stick to a wide range of hubs made from silicone and other plastic compounds. Catheter stabilization device that provides foam insert specifically for securing and preventing kinking of epidural catheters. Low profile design for maximum patient comfort. Comes with a sterile tape strip. Tubing Size Range: 1/64" - 5/64" (0.5 - 2.0mm) in diameter. 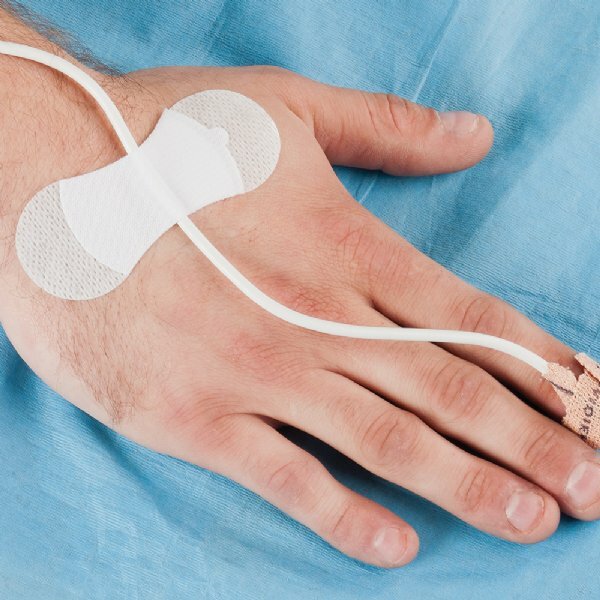 Strong enough to hold IV and arterial catheters including catheters with suture wings and ports securely in place. Luer connector can be removed or changed while catheter remains secured. 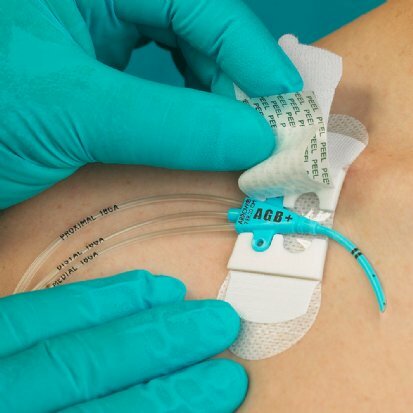 Secures Arrow Howes CVC catheters in a channel that is die-cut to the shape of the catheter hub and suture wings in a medical grade foam insert. New design uses the same easy to use Grip-Lok hook and loop over-strap and new pull-tab bottom release liners. 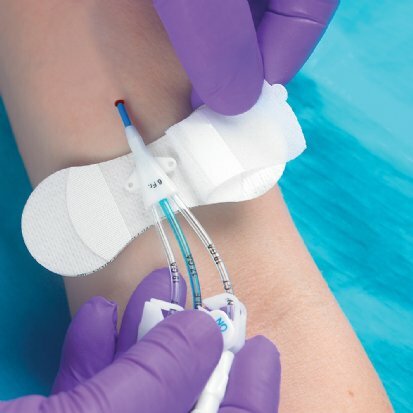 Provides stable suture-free securement at the Arrow Hub and alternative catheter attachment points to prevent unnecessary pulls and improves patient care. Offers firm securement of feeding tubes and will fit a wide range of tube sizes. Applied in the same simple manner as a bandage and can be easily placed and adjusted with gloved hands. Tubing Size Range: 1/16 - 1/2" (1.5 - 13.0mm) in diameter. 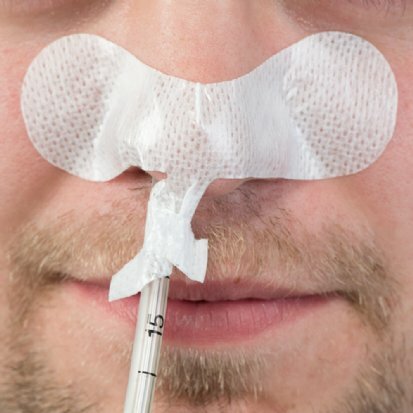 Provides a breathable transparent protective cover and this suture-free securement is a simple application that makes technique standardization easy to implement.